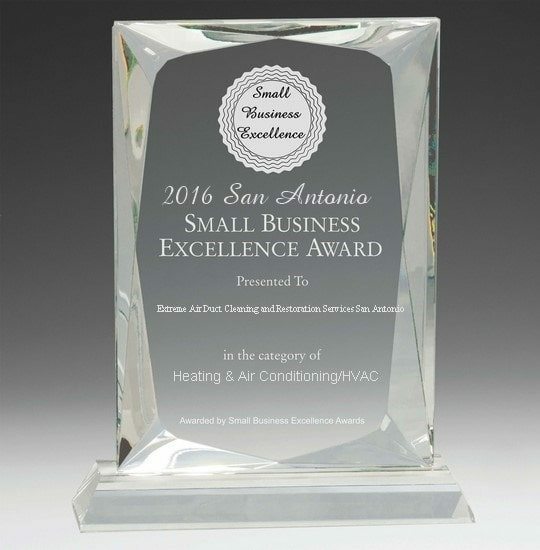 Extreme Air Duct Cleaning Services has been selected for the 2016 San Antonio Small Business Excellence Award. 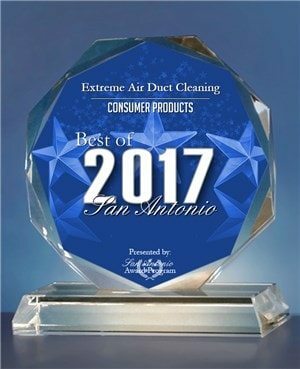 Extreme Air Duct Cleaning and Restoration Services San Antonio has been selected for the 2016 San Antonio Small Business Excellence Award in the Heating & Air Conditioning/HVAC classification by the San Antonio Small Business Excellence Award Program. not quantity. Winners are determined based on the information gathered both internally by the San Antonio Small Business Excellence Award Program and data provided by third parties. About the San Antonio Small Business Excellence Awards Program The San Antonio Small Business Excellence Awards recognizes outstanding small businesses that serve the San Antonio area. Each year, our selection committee identifies businesses that we believe have achieved outstanding marketing success in their local community and business classification. 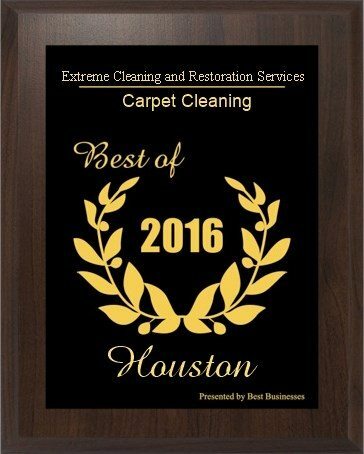 businesses that enhance the positive image of small business through service to their customers and our community. 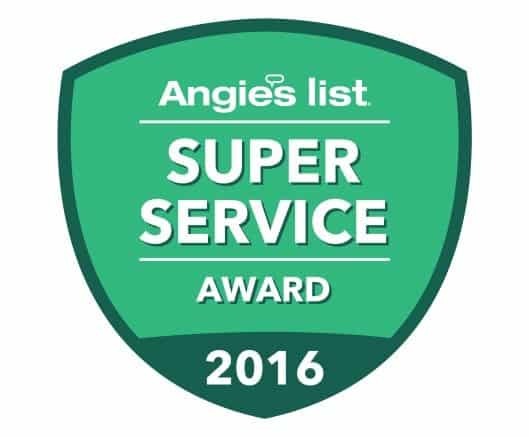 These exceptional companies help make the San Antonio area a vibrant and vital place to live. 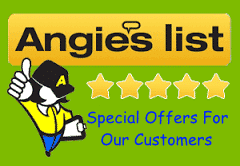 groups, professional associations and other business advertising and marketing groups. Our mission is to award the small business community’s contributions to the U.S. economy.